Do you have some interesting wildlife news? March 3, 2013 edition More about “encroaching” junipers on Juniper Mountain. The Owyhee BLM has finally issued a Proposed Decision on the so-called “Group 1” allotments but, unfortunately, the BLM really doesn’t go far enough to reverse damage caused by decades of abusive livestock grazing and they didn’t collect enough information to rationalize their decision even though the Environmental Assessment (EA) consists of a whopping 556 pages including appendices and maps. 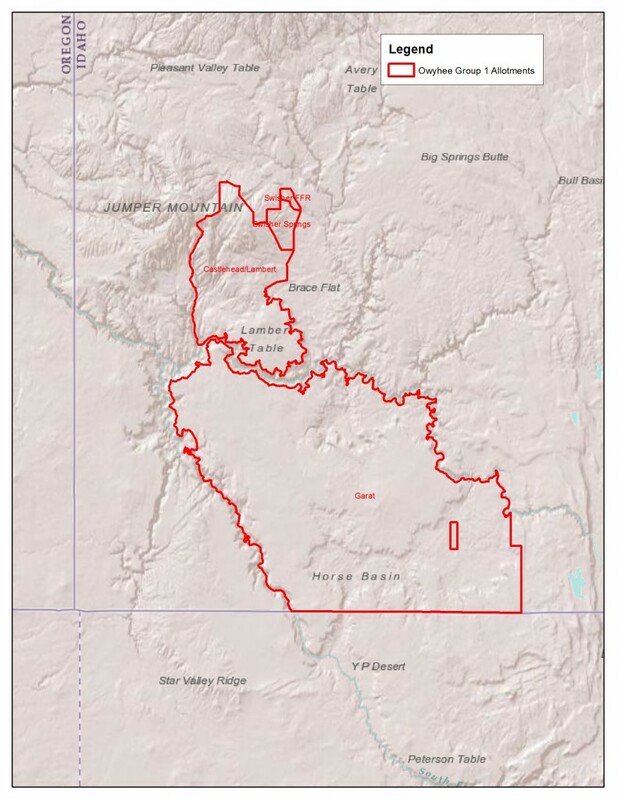 The Group 1 allotments, Castlehead-Lambert, Garat, Swisher Springs, and Swisher FFR are in very southwest Idaho and consist of approximately 261,507 acres of federal and state lands. The allotments are important habitat for imperiled species such as greater sage-grouse, Columbia spotted frog, pygmy rabbit, and Columbia River redband trout. 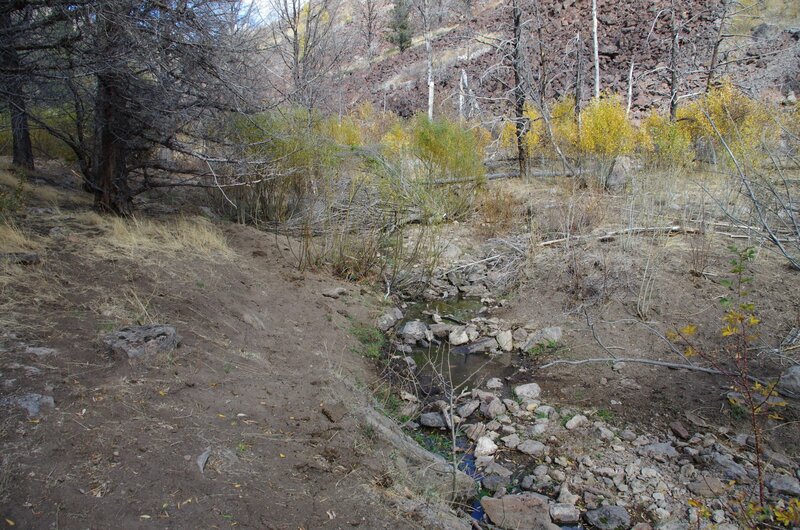 There are several streams, springs, and riparian areas that are critical habitat for many species and, unfortunately, they are severely degraded. Upland sagebrush steppe areas, those areas not directly associated with water, are heavily degraded and some areas have been drastically altered due to past actions taken by the BLM. Large areas of the Garat allotment have been bladed and planted with nonnative crested wheatgrass making them inhospitable to sage grouse and pygmy rabbit which depend on healthy stands of sagebrush with a healthy understory of native bunchgrasses and forbs. 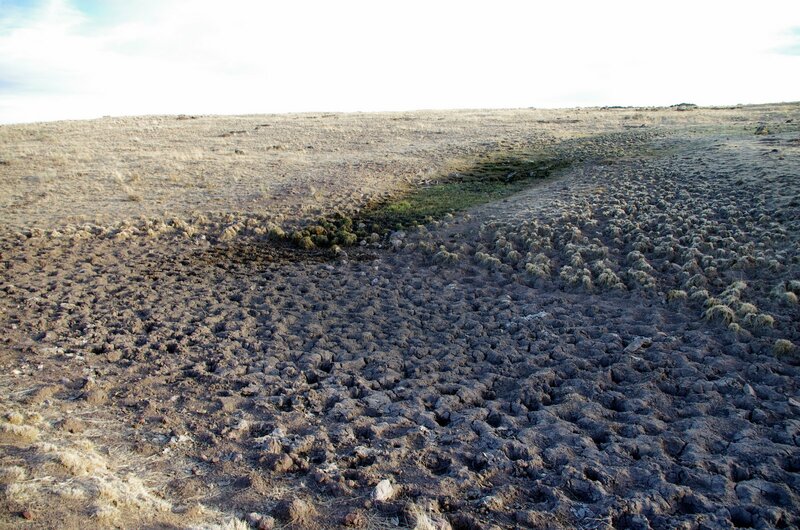 The wet meadow and riparian areas of the Garat allotment so critical for spring brood rearing of sage grouse chicks have been pock marked with hummocks that dry out the meadow soils and vegetation leaving them with little habitat value. The juniper forests on Juniper Mountain, where the Castlehead-Lambert, Swisher Springs, and Swisher FFR allotments are, hold rugged canyons in which Columbia River redband trout somehow manage to persist despite extreme degradation to the riparian vegetation and soils. Schools of these small trout barely exist in series of disconnected puddles that are no deeper than 15 inches and only 2 feet wide by 5 feet long. Above and below these puddles are long, dry stretches of severely beaten stream banks with depauperate vegetation and bare soils. These streams reek of cow manure and the adjacent springs are trampled, muddy wallows. Contrast these conditions to the small exclosures that were built to provide very modest protection to just a few springs at the headwaters of select streams. Within the few exclosures that haven’t been breached by cattle over the course of the year, there is very lush and diverse aged vegetation that consists of aspen, willows, rose, and tall riparian grasses. Outside of these exclosures, and within exclosures that have been breached by cattle, edible vegetation has been eaten down to the ground, water tables have dropped, and soils exposed to erosion downstream to choke out what remains of the Columbia River redband trout habitat. Frankly, it’s a disgrace. EF Red Canyon Creek, redband rainbow habitat. Rather than provide real solutions to these problems the BLM has papered over them. While the BLM does reduce grazing on these severely depleted landscapes with their proposed decision, they didn’t go far enough. Rather than send staff out to the landscape long enough to really understand the landscape and document the problems that are evident even to the casual observer, the BLM chose to spend most of its time in the office and let the process by clouded by dubious range science. There are huge errors in the Environmental Assessment that gloss over the impacts of livestock grazing. 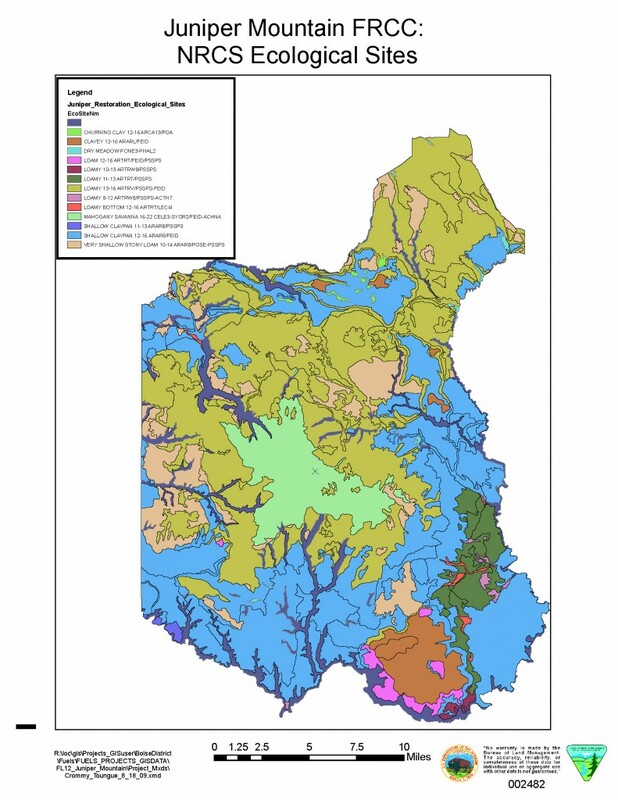 For example, take a look at this map of Juniper Mountain ecological sites. Ecological Site Indices are maps of soils and moisture created by the Natural Resources Conservation Service (NRCS), and the BLM uses them as a baseline for what to expect with regard to vegetation. This map shows that no junipers are to be expected despite the fact that they are here today and were there 100 years ago. In fact, the BLM says “Ecological site descriptions for Castlehead-Lambert allotment do not identify the presence of juniper in reference site descriptions, although juniper has the potential to invade sites totaling 77 percent of the acreage.” This claim is clearly bogus but it is used to claim that junipers are to blame for problems that livestock grazing has caused and as a rationale to eradicate junipers. While investigating the claim that junipers don’t belong on Juniper Mountain, I was asked to look at the original public lands surveys found on General Land Office Records site and found surveys for this landscape from 1914 and 1921. While the surveys don’t quantify junipers or show their density they do document their presence and in the General Description notes at the end of each survey the surveyors noted “thick juniper” and “scattered juniper” in every township. When doing the surveys the surveyor walked the lines between each and every section (a square mile) to mark section corners and quarters. At the end of each section line they noted the type of timber. To map this I read the notes for each and every section line and noted the documentation of juniper. I was able to give each section a score of 0 to 4. If all four section lines noted “timber: juniper” then the section was given a score of 4. What I found was that nearly every section had juniper presence just as they do today. The surveys also mention “good growth of bunch grass which affords excellent range” even though today the understory is composed of very sparse grass and a nonnative semi annual grass called Poa bulbosa that is a very poor range plant with little habitat value. Small islands of these healthy bunch grasses can be seen in areas that can’t be reached by cattle and the contrast is quite startling. It appears that the NRCS and BLM have conspired to make it appear that there should be no junipers on Juniper Mountain and it appears that is due to ranchers’ longstanding contempt for woody vegetation. One of the range conservationists went so far as to say that Juniper Mountain was called “Grassy Mountain”. With over a century of grazing in this landscape, the healthy grass understory that existed at the time of the surveys have disappeared and, as long as there is grazing, will not come back. The motivation to increase livestock forage so that profits are higher for ranchers is a powerful incentive and the NRCS and BLM have a long history of favoring anything that might benefit ranching. Based on this bogus claim, the BLM has determined that areas with junipers are not meeting rangeland health standards while the areas that have burned in recent fires and have moderate forage for cattle are meeting standards. They claim that the junipers are the reason that the grasses have disappeared and that they are encroaching onto sagebrush steppe sites making them unsuitable for sage grouse and other sagebrush obligates. In another process the BLM has proposed to remove junipers from Juniper Mountain so the allotment will start to “make significant progress” toward meeting the standards for rangeland health and so that the landscape will become sage grouse habitat despite the fact that it has never been sage grouse habitat. In addition to this landscape not ever being sage grouse habitat, the areas that burned in the 2007 fire are becoming covered with ceanothus not sage brush. It’s a classic diversion. They blame trees for problems caused by cattle and hope that the removal of the trees will increase forage and sage grouse habitat. 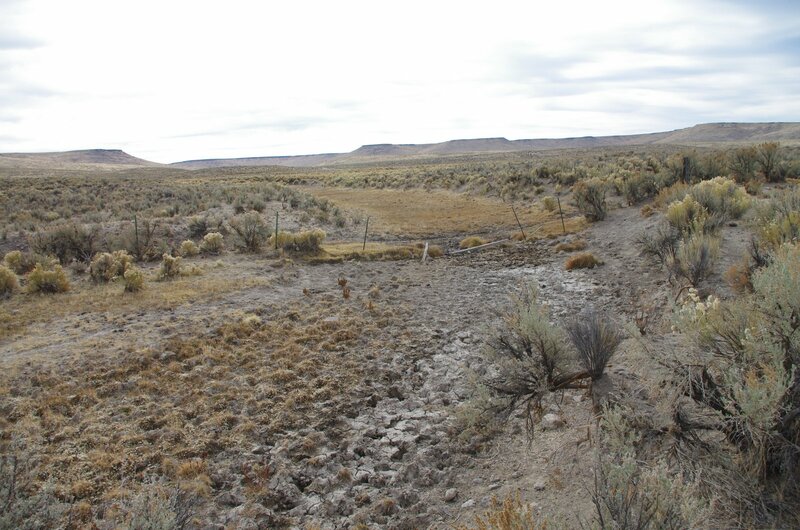 Another example of the inadequacy of the information collected by the BLM is the fact that BLM totally ignores the condition of some of the springs in the Garat allotment. They claim that the Water Resources and Riparian/Wetland Areas standard has been met despite glaring evidence that Piute Creek is a total mess and other springs have been beaten to pulp. Despite this, the BLM ignored several alternatives that would have addressed many of the problems that have been identified on the allotments. Alternatives such as rehabilitation of crested wheatgrass seedings to native sagebrush steppe vegetation to enhance sage grouse and pygmy rabbit habitat were dismissed out of hand. Alternatives where stocking levels are based on standards for streambank alterations due to trampling were dismissed even though these standards have been shown to be exceeded annually on a nearby allotment with similar problems. The BLM ignored alternatives which strive to maintain the recommended 7″-9″ stubble heights for perennial grasses so that there is adequate nesting and brood rearing cover for sage grouse. The BLM also refused to implement restrictions on grazing during timeframes that are important for sage grouse breeding, nesting, and brood rearing, (March 1 – June 20) or timeframes that are important for maintaining residual perennial grasses that have stopped growing for the year into the following spring (August 1 – Novewmber 15). So, while stories are written that focus on the impacts that the ranchers might be facing and exaggerate the economic impact that ranchers have on the economy, we show you here what the landscapes actually look like. These landscapes need a rest from livestock grazing and the BLM knows it but fails to take full measures because of political meddling. Below is a slideshow of photos taken by Katie Fite, Western Watersheds during the 2010 and 2012 grazing seasons. As you will see, the degradation is severe and, unfortunately, will continue with the proposed decision. They already got 40 million !!!!!!!! One of the complexities with managing grazing is that doing without it is wrong. Something (bison, elk, etc) grazed it down once upon a time. Secondly, you cant just graze to one stubble level for one species. Yes the SG wants 7-9″ but the burrowing owl wants 2-4″ (and uses cow flops for nest scent screening!) and so it goes with one critter or another that are endangered or threatened. Bottom line is that now that the mega natural herds (like 50 mil bison) are gone and the undeveloped grassland habitat has shrunk dramatically, we need a grazer that we can manage on micro-habitats, moving them in a scientifically managed way to address primary critter needs within these large areas. This is not how commercial cattle operations like to do business but we can’t throw the cow out with the bath water. (quite a metaphor, eh?) Grazing, per se, is not bad. What mega natural ungulate grazed in the Owyhee prior to cattle that would not repopulate in the absence of cattle ? How about the pygmy rabbit? Not mega but at least an herbivore. I don’t think the Columbia spotted frog would count in the grazing category. I can see why there aren’t many of them left. How many large, western sage-steppe areas have not been grazed by cattle in the last 100-200 years? How about trying some with no grazing for the next 100+ years? Just as with growing old growth trees we don’t think far enough into the future. We can’t seem to omit human activities for one human generation – let alone that required for mature redwood trees or juniper. Thanks, Ken – an excellent post and a powerful photo essay. There is no evidence that bison ever grazed in this area. Great Basin National Park Service held a seminar a few years back addressing the ecosystems…and noted that old sage growth needs to be grazed in order for new sage growth. The old growth provides a nursery for pinyon and juniper seedlings,a resulting encroachment. Meanwhile livestock OVERGRAZE has destroyed thousands of acres of white sage, which may never recover. In contrast wildlife grazers migrate which allows for habitat recovery. Wild horse and buros herds that are native (by fossil fact and Congressional designation) constitute less than one percent of grazers on the public domain. Politically motivated and technically/fatally flawed resource management plans allow over grazing by special livestock interests, and convert our public assets to other uses. One was for a grazing lease renewal north of Sparks; one was for a Long Term Pasture for wild equines in Oklahoma; another was a Sage Grouse study in the Jackson Mountains. The grazing renewal mentioned ‘predators’ extensively, including black bear and cougar, and stated both predated on foals and calves, information avoided in most EAs regarding wild equines. The Long Term Pasture documents, as it regarded riparian streams, stated wild equine’s tendencies to drink and move on, rather than huddle destructively. EAs for removals of wild equines will ALWAYS villify them as the primary cause of riparian degradation – with no mention of livestock. The Sage Grouse study demonstrated that wild equine use accounted for only 1% of the sage grouse’s traditional leks, yet the EA to remove wild equines expressed concern for the destruction of sage grouse habitat by the ‘excess’ population of wild equines. It shouldn’t be that easy to have it both ways. It’s the utter lack of scientific prinicipal and consistency in these EAs – almost as if the authors honestly don’t expect the Public will have diverse interests in the ranges, and will never ‘compare notes’. I suspect it’s simply easier and more expedient to conduct range studies from desktop, and hope that very few people are willing to page through 500 pages of outdated nonsense. Sorry but I’ve lost all respect for most ranchers. Last time I checked livestock grazing on public lands represented less than 3% of the meat consumed. What a huge habitat waste for such a small return on such marginal lands. Imagine if the public lands were left deer, elk, bison, pronghorn, bears and wolves. Wow! You would have a different west and I doubt anyone would miss the meat production except those exploiting the land or the BLM. Several years ago, an individual whom I admire and respect and whose word I trust told me that according to then-Secretary of the Interior Bruce Babbitt’s Rangeland Reform Study, NINETY-SIX PERCENT of the forage on BLM land was allocated to domestic livestock : Only 4% allocated to wildlife; and I assume that means not just big game, such as elk and antelope, but includes the smaller and perhaps less charismatic fauna such as rabbits and hares, desert tortoises, etc. Alf, while I agree with you wholeheartedly about the disgrace of the welfare-ranchers on public land, I do have a problem with the blanket statement about beef being unhealthy. Despite the studies which purport to tout the benefits of a vegetarian or vegan lifestyle (which often are funded by subsidized agrobusiness), during the last 75 years there has been remarkable research done in the field of human nutrition and diet. What these studies have found is that most of American population has low-level allergies to many wheat products, various grains and dairy. These foods are major exacerbators, and some say cause of irritable bowel syndrome, crohn’s disease, ulcerative colitis, forms of thyroid diseases (like Hashimoto’s), rheumatoid arthritis, and the list goes on and on. Once people with these maladies switch to a grain-free, dairy-free diet, amazingly, the symptoms lessen or disappear altogether, and without pharmaceuticals. Type II diabetes, some autism spectrum disorders and many other serious conditions have been virtually eliminated due to switching to a “paleo” diet which consist of fresh fruits & vegetables, some nuts and meat (preferably grass-fed animals or wild game). The problem with American’s eating meat in the quantities that they do is the sedentary lifestyle, and the fact that many do little or no manual labor and never exercise. Inuit for thousands of years lived eating seals and whales, with little or no vegetable or grains. Yet they suffered no ill effects due to their super-active lifestyle. Additionally, it has been shown that by eating meat and fat and not exercising, you will gain a certain amount of weight. But if you add a small amount of carbohydrates into the same meal from grains or legumes, you will actually gain more weight because of the synergy between carbs and fat. This has been observed in the physiology of numerous mammals, primates, canids, ursids, etc. So, beef, or meat in general is not evil, it is the manner in which we raise the animals and then consume it with our pathetically inactive, desk-bound lifestyle. How do I know this – well from scientific research I’ve read, that my wife has conducted, and the thousands of cases of people who have switched to a paleo-diet and adopted vigorous exercise routines (of which I know dozens). My wife has stopped her need for synthroid and other medication by changing her diet since she’s allergic to wheat, dairy, soy and a host of other stuff. Her cholesterol is low, her ratios of LDL/HDL are perfect, and she no longer gets bloated after eating grains and doesn’t feel like crap every day. I was talking to a fish and game Officer yesterday at a clients place in Mountain Home, he said that trapping was now banned on Wilderness areas. I haven’t heard of this. Is it just BLM or what’s going on? There has been no rules on trapping in wilderness areas, he was blowing smoke. He said it was in the Owyhees of Idaho on all BLM land, I don’t know he’s a top guy with 25 years in the F&G. Why bwould he say that for know reason? He was either wrong or you heard him wrong. 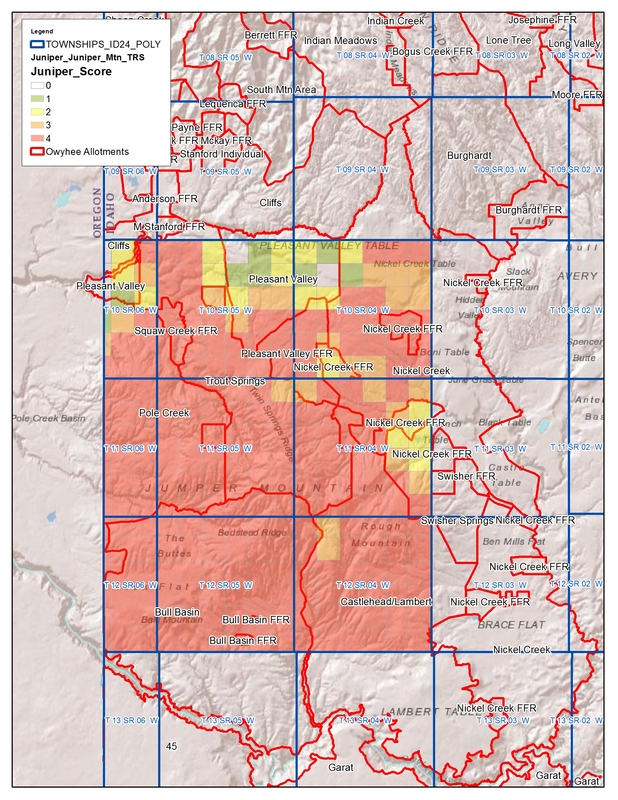 In February 2013, the Boise and Twin Falls BLM Districts jointly released a draft Management Plan for the 518,000-acre Owyhee Canyonlands wilderness area. Well people who trap don’t put the effort into it for nothing. It’s a lot of work, so I’d say they do it for profit. I’ve Hunted my whole life and don’t know anyone who traps. In your message dated March 6th, you said Wilderness areas, you did not say specific Wilderness areas, and now you post a message about a “Draft” plan, that is still accepting comments. Again, I say, he was blowing smoke. Well there ya go Savebears read that. I read it and it seems Ken and I said just about the same thing. Of course, you are suppose to pay a commercial fee to take pictures for profit in Yellowstone, guess how many actually do? Also, what you posted is a “Draft” management plan, normally that does not indicate it has been implemented. Craig, nothing has been finalized, they are still taking comments through April 30th, so nothing has been changed and trapping in any form has not been banned. I’m an old Nevada girl from way back. I’ve seen some data on University of Reno range-recovery studies that have been on-going since the early ’60s. Even after more than 40 years of no grazing in the research exclosures, they have observed ‘no appreciable recovery’ in some grasses and forbs. Everything in the desert grows slow and in some cases, quite old. I understand winterfat can live up to 130 years. I’ve seen articles about sagebrush stands at least that old. It’s very disheartening because, even if grazing were outlawed tomorrow, it would not recover in my nor my children’s lifetime. That you had the patience to read the entire EA, Mr. Cole, makes you a saint; EAs, in general, make my blood boil – that facts can be so easily molded to fit the need. It appears that the NRCS and BLM have conspired to make it appear that there should be no junipers on Juniper Mountain and it appears that is due to ranchers’ longstanding contempt for woody vegetation. This is shocking to read. Redesigning the landscape for fun and profit. Somebody needs to ‘weed out’ those who have so much influence over the BLM. Our new Interior Secretary will have his or her work cut out for them, that’s for sure. In 1967 I spent the month of July camped on top of Juniper Mountain doing a deer survey for the IDFG. It was very discouraging. Everywhere I walked, I was driving a herd of cows and eating their dust. By the first of August the cows had consumed all of the grass and were eating the bitterbrush. Deer were being starved out by the hoards of cows. As so often is the case with the BLM, FS, and Corps of Engineers Studies, the decision comes first then they work backward with spotty science. At least they are taking baby steps in the right direction. Definition of ranching: The most destructive animal on the planet raising the second most destructive animal on the planet for food. For those interested in photographic and journalistic evidence of habitat change over time in Northern NV and Southern Idaho, particularly in the island mountain ranges, I recommend reading retired wildlife biologist George Gruell’s recent book titled Nevada’s Changing Wildlife Habitat. He’s got some compelling photos and interesting thoughts on Ceanothus, Juniper, curlleaf Mountain Mahogany, the role of fire, climate change and other factors. He discusses the historical evidence (what there is of it) for changes in populations of various wildlife species since European settlement. Gruell has also done some photographic research into the Yellowstone area landscapes. Food for thought whether you’re pro-grazing, anti-grazing or just interested in what’s happened over the last 160 years or so in this kind of country. Somebody necessarily help to make severely posts I might state. This is the very first time I frequented your website page and to this point? I amazed with the research you made to make this particular post amazing. Magnificent activity!